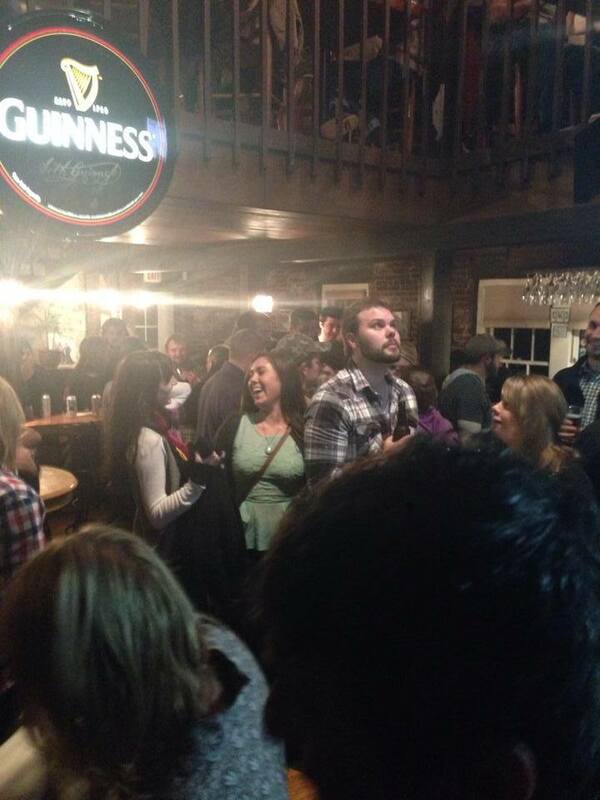 Great Pub with outside deck that overlooks the Kennebec gorge! 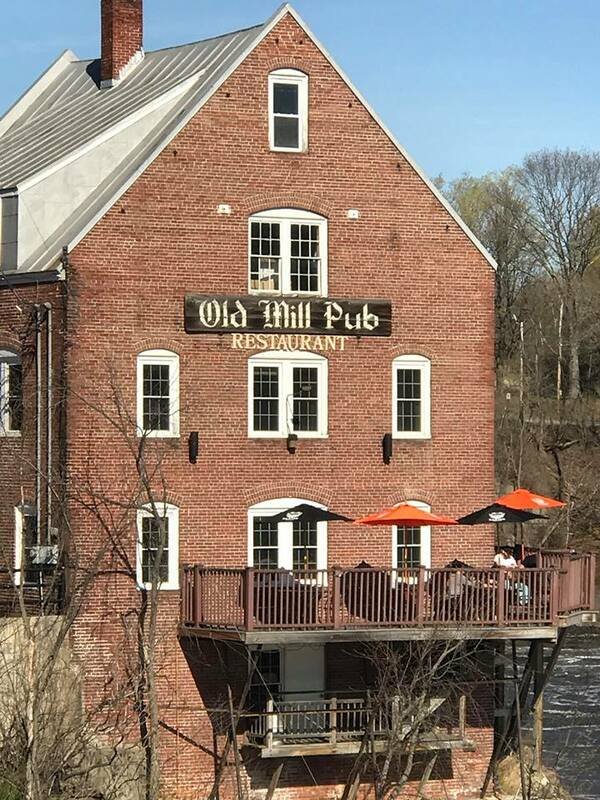 You might have driven many times above the 1977 Margaret Chase Smith Bridges and never noticed the wonderful Old Mill Pub that is perched atop the banks of the Kennebec River, right in Downtown Skowhegan. 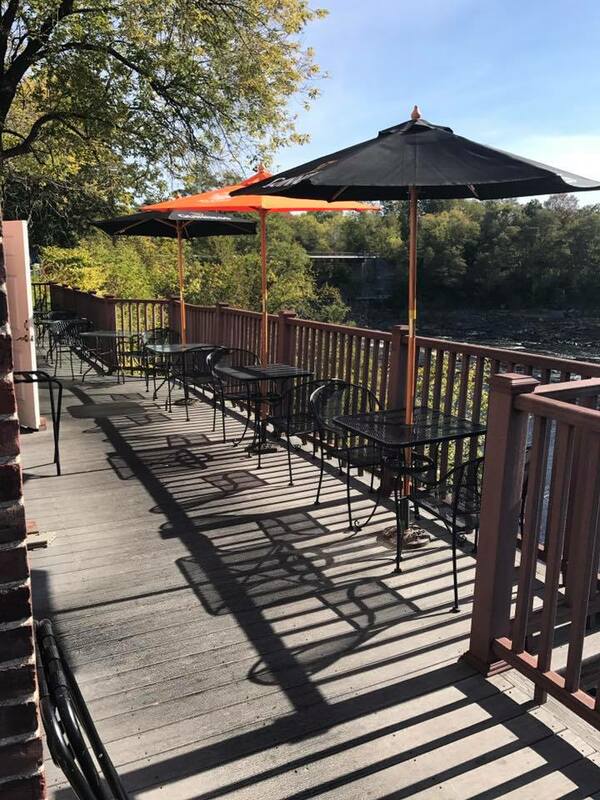 In the summer and early fall, you can enjoy the large pub’s outside deck that overlooks the beautiful Kennebec gorge. 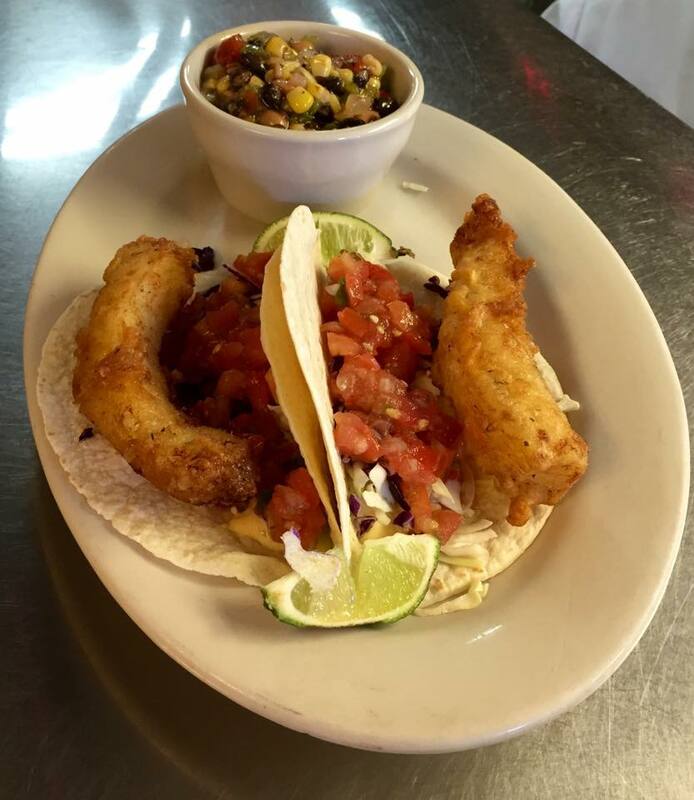 Location: 39 Water Street in Skowhegan, ME. 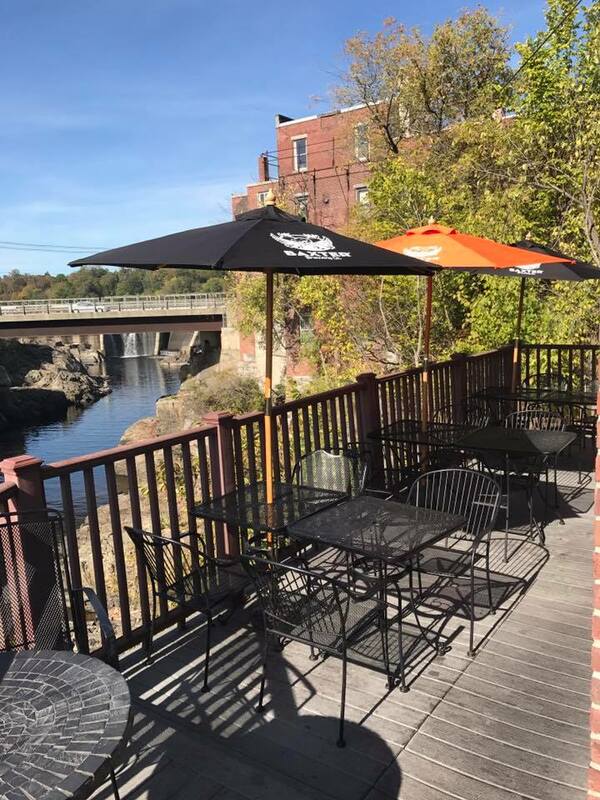 Where to park: If you are not familiar with the town, get to Water Street and turn onto Patten Ct, to access the parking lot on the river banks. The Old Mill Pub is just at the end of the Patten C. Notice a wonderful sculpture by Bernard Langlais and great murals on Patten C.